Home » national news » Is PM Modi's Cabinet expansion aimed at denting BSP's vote bank in Uttar Pradesh? Is PM Modi's Cabinet expansion aimed at denting BSP's vote bank in Uttar Pradesh? 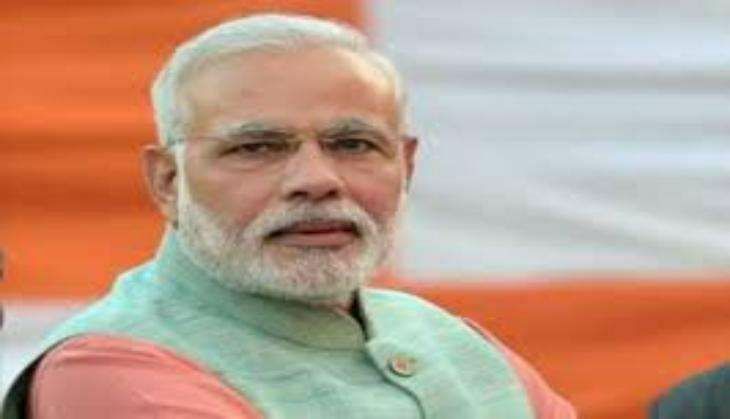 The induction of three new faces from Uttar Pradesh in the Modi government on 5 July reflects an attempt by the BJP to reach out to the Dalit community and dent the BSP's social engineering formula ahead of the crucial 2017 Assembly polls in the state. UP now has 16 ministers, the maximum from any state, in an apparent bid to keep the Dalit and OBC vote bank content. The exercise shows that BJP is wooing Dalits, who have largely voted for Mayawati's BSP in UP in the last two decades. Any gains among SCs will help the BJP inch closer to its target of winning 265 of the 403 Assembly seats in the state. The prominence given to Apna Dal leader Anupriya Patel, a Kurmi leader from eastern Uttar Pradesh, is seen as BJP's move to pre-empt the rise of Bihar Chief Minister Nitish Kumar, another Kurmi leader. Her inclusion in the Council of Ministers is apparently aimed at consolidating backward votes, especially in the eastern parts of the state where Nitish has been trying to make a foray ahead of the 2017 Assembly polls. So far, Nitish has held three rallies in UP and plans another visit later this month. Anupriya, a first time MP, is an eloquent pro-Modi voice within and outside the Lok Sabha, and her OBC roots have positioned her as an important BJP ally in UP. The 35-year-old Lok Sabha member from Mirzapur in UP won on the Apna Dal ticket, a party founded by her father and Kurmi leader Sonelal Patel which later split, with the major faction siding with her mother, who expelled her from the party. The support of BJP, Anupriya's associates say, can help her claim the legacy of her father who built Apna Dal's base among OBCs, primarily his fellow castemen Kurmis. BJP believes that a ministerial berth will give her the stature and gravitas required to work on Kurmi voters, who play an important role in deciding the fate of candidates in certain parts of the Hindi heartland state. Anupriya's speeches in the Lower House on various issues have often drawn praise from the treasury benches. The swearing-in of Shahjahanpur MP Krishna Raj is also significant ahead of the UP polls as the Scheduled Caste community forms a sizable chunk of the electorate. 49-year-old Krishna Raj belongs to Pasi community, which is also part of the large Dalit vote bank. She is a first time BJP MP and one of the party's Dalit faces from UP.